As we reach the summer in the northern hemisphere, goodbyes return in full force. 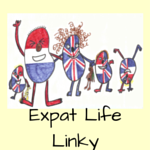 Expats leave to go back home or move to another 'home'. Parties are arranged. And everyone says goodbye. It is a sad time to be an expat. 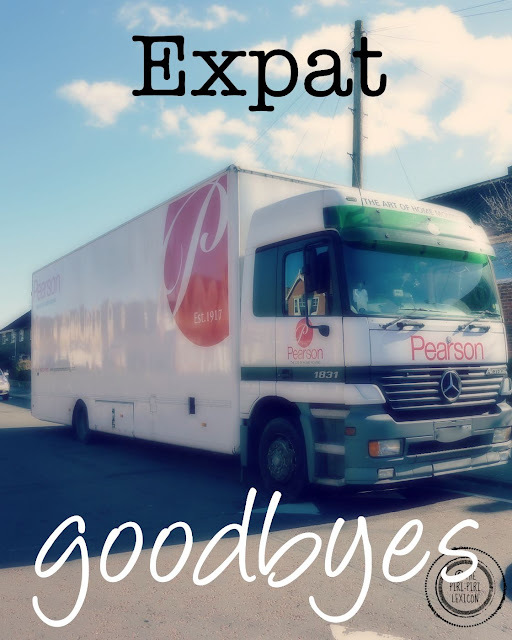 Saying goodbye is part of our life and an important step into the expat experience. When we moved to Germany, we had a big party with all of our colleagues and friends. When I left France, I never said goodbye to anyone because it was only meant to be temporary. I feel as though those missed goodbyes when I left France have cost me a few friends and I have always regretted not having kept more in touch with some of them. After 13 years in the U.K., we decided to uproot as a family of 3 with a one-year-old and move to Germany for a new job, new language, new experiences and a whole new life with easier travel access to our respective families in Europe. My husband I both had respective leaving parties at work with lots of tears (on my side anyway), gifts, and quality time with work colleagues who had seen us grow professionally from students to working and *hum* responsible adults. We had another leaving party with friends: colleagues, former university student friends, and friends we made as a family. It was a joyous Sunday afternoon with a traditional English cake and lots of memories and souvenirs from our time in Newcastle. Adults and children who had been important to us in some way during our years there reminisced with us. 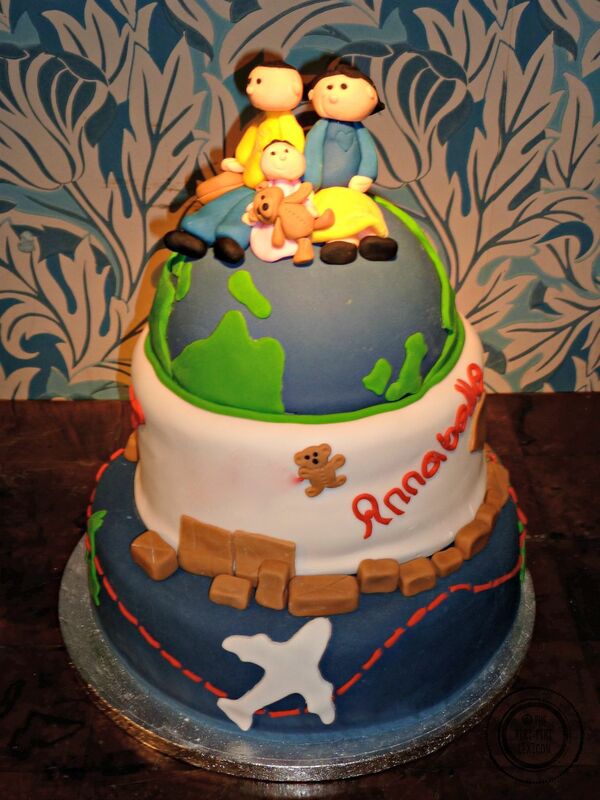 The hardest part, for me, was actually the little leaving party LJ's nursery had for her. She had only been there for a few months but she was so well taken care of there while we both worked full-time. Staff and children alike wrote really sweet messages in her diary and gave her a little photo album with pictures and drawings. Her key worker and I both tear up on her last pick up (2 days before we physically left). We had loved that nursery and I didn't know what the future would hold for LJ and myself. Of course, the 14 months old that she was had no idea what was going on. We stayed another two days with friends as we had handed over our house and flew away on a Sunday to a new life. We felt sad but excited and convinced some of these friends and colleagues would come and visit (and they have ;-)). When I left France (13 years earlier), I left to go and live in the UK for 9 months as an exchange student. (Have you seen L'Auberge Espagnole? That was it in a nutshell.) There were no goodbyes with university friends or family as I was meant to come back (although deep down my family knew it might turn into a life abroad). None of my friends were on Facebook and we barely had emails then (I sound so old). So keeping in touch was more tricky. I had also only spent two years as a student in France and my introverted self had not had time to make real life-long friends. As a (direct or indirect) consequence, I have very few real friends left from my time at university in France. Sometimes I feel a little sad about it. I have amazing friends from all corners of the world but only a handful left in France, my "home". Maybe this is also why going "home" is so tough. 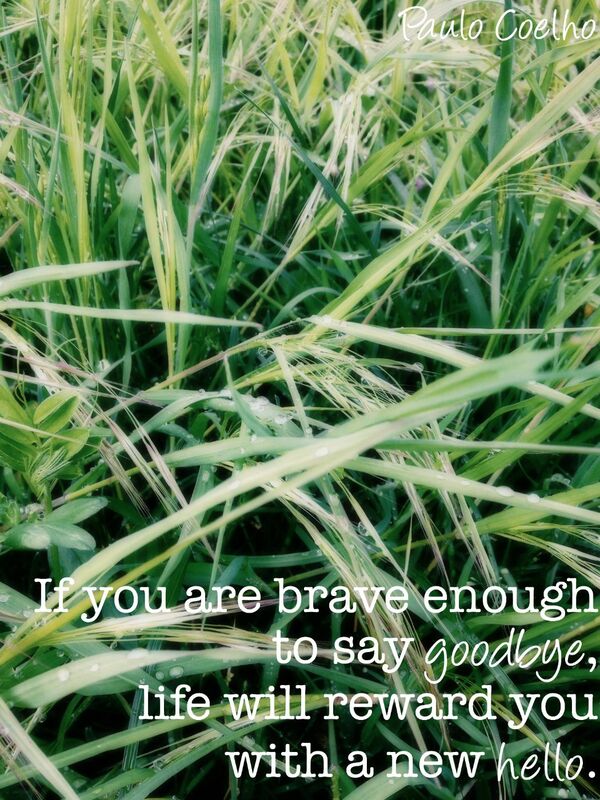 Saying goodbye is necessary to move forward. It provides closure. I regret never having a proper send off first time around. I will make sure our next goodbyes are as great as the second ones. 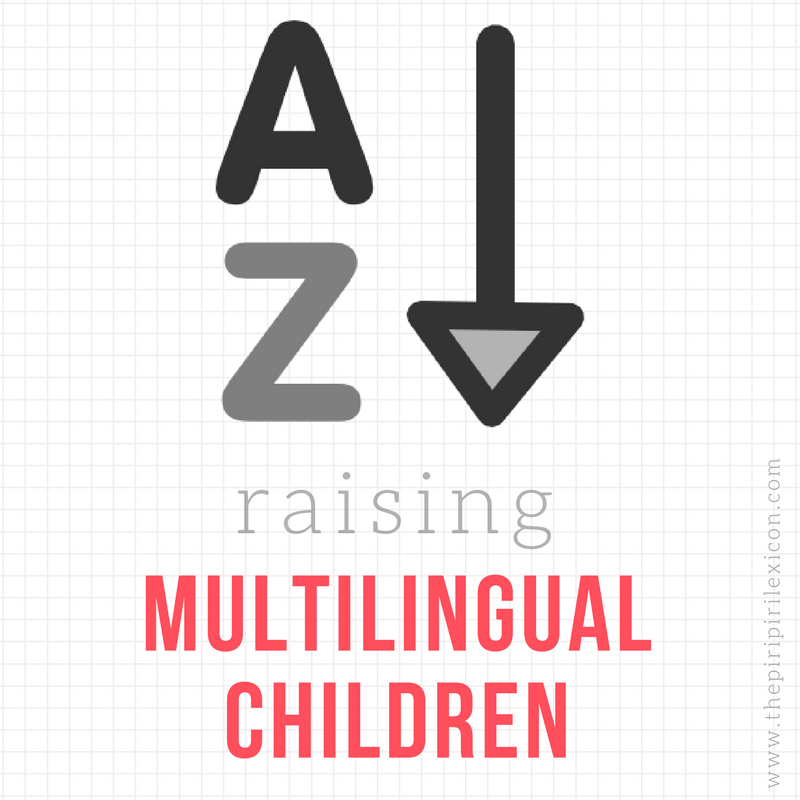 They will be even more tricky with two children who will be a lot more aware of the situation by then. N.B. I am talking hypothetically here. We have no plans of leaving Germany.... for now. What about you? Do you regret not saying goodbye to anyone? I am 'glad' to see I wasn't the only one to miss on goodbyes. Your story sounds similar to mine. Those next goodbyes will be tough. Good luck! When we left Vietnam, I thought it'd have been 18 months, after the course we'd come back home. It turned into 10 years now. We moved around Europe from Sweden to Switzerland and then Germany. And we just moved to Canada last Christmas. I cried every time we moved. I hate saying goodbye to the homes we lived. Each place has its own memories. My children were born in different countries. It's hard to say goodbye even to the neighbour, the sellers at the wochenmarkt in front of my house... I know next time when we come back we'll be just visitors. Goodbyes are always so tough yet so sweet. When I arrive somewhere new and feeling alone I think about how I just had a goodbye full of friends. It gives me the courage to go make new friends knowing that I've done it before. I also am so thankful for social media. I really think it makes the distance so much easier to handle. I'm able to keep up with friends so that when our paths do cross again, as they often do, it is almost like you don't need all that "catch up" time and conversations return to normal. Thanks for sharing your goodbyes though, it makes us all feel a little less alone. So true - you can't truly leave a place well if you don't have the chance to say your goodbyes to places as well as people. Good to reflect on this... I do regret not having the opportunity to say proper goodbyes, funnily enough more from moving around during childhood. I wish I had managed to keep in touch more with some people as well. Even this last time leaving the Netherlands it was so quick and hurried that I don't feel closure. That said, goodbyes are always hard but helpful when making a transition as big as moving countries.